Includes every change in Yoast SEO core 10.1.3 see the core changelog. Includes every change in Yoast SEO core 10.1.1 see the core changelog. Introduces recognition of grammatical forms for German keyphrases. This means that plural forms such as Häuser will be recognized if your keyphrase is Haus, for example. Doesn’t just work for those of you who have multiple homes by the way. Fixes a bug where the Internal Linking metabox would show a warning that not all posts were analyzed, while all eligible posts actually were indexed. Fixes a bug that impeded recognition of word forms for keyphrases on taxonomy pages. Includes every change in Yoast SEO core 10.1.0 see the core changelog. Includes every change in Yoast SEO core 10.0.1 see the core changelog. Fixes a bug where a related keyphrase or synonym field containing a backslash or consecutive double quotes would be emptied when saving a post or term. Fixes a bug where backslashes would be removed from the Twitter and Facebook title and description when saving a term. Includes every change in Yoast SEO core 10.0.0 see the core changelog. Implements analysis markers for related keyphrases. Fixes a bug where quotes in the related keyphrases and synonyms could stop those fields from appearing. Includes every change in Yoast SEO core 9.7.0 see the core changelog. Adds an “Ok” button to dismiss redirect notifications in the quick edit menu. Improves the Redirects table accessibility by removing a duplicate button. Includes every change in Yoast SEO core 9.6.0 see the core changelog. Adds a validator to the redirect manager to check if the redirect origin is relative. Adds internal linking suggestions and insights for Swedish. Improves the error logging for certain types of errors in the prominent words analysis and internal linking suggestions. Includes every change in Yoast SEO core 9.5.0 see the core changelog. Fixes a bug where Premium features in the metabox might not work for custom post types. Fixes a bug where additional keyphrases and synonyms would not be saved for taxonomies. Includes every change in Yoast SEO core 9.4.0 see the core changelog. Includes every change in Yoast SEO core 9.3.0 see the core changelog. Fixes a bug where the internal linking box is shown for post types that has the Yoast Metabox disabled. Fixes internal linking button size in the document settings sidebar in Gutenberg. Fixes a bug where no redirect notification was shown in Gutenberg when the permalink was updated. Fixes a bug where the social previews won’t reflect the entered post/page title realtime. Adds additional context to the wpseo_premium_post_redirect_slug_change filter call. Improves an SQL query to perform better on sites with a lot of orphaned content. Fixes a bug where the activation warning would be incorrectly displayed on a sub-site within a multisite environment. Fixes a bug where a PHP notice would be displayed when visiting a non-existing post. Includes every change in Yoast SEO core 9.1.0 see the core changelog. Includes every change in Yoast SEO core 9.0.3 see the core changelog. Fixes a bug where the Gutenberg (v4.1) editor was partially hidden behind the metabox. Includes every change in Yoast SEO core 9.0.2 see the core changelog. Includes every change in Yoast SEO core 9.0.1 see the core changelog. Implements support for word form recognition for keyphrases in English. This means that e.g. book will be recognized in the text when the keyphrase is books. Implements an improved algorithm for the keyphrase distribution assessment to check whether the keyphrase usage is evenly distributed throughout the text. The analysis for related keyphrases only shows assessments relevant for the specific keyphrase. It omits assessments that are non-keyphrase-related and assessments that should only be applied to the focus keyphrase. For the keyphrase density assessment, the upper boundary for a good score is higher when word form recognition is available, since in that case the analysis is able to pick up more matches. Fixes a bug where the insights analysis on the tools page would not work. Includes every change in Yoast SEO core 9.0 see the core changelog. Adds multiple keyword support for taxonomies. Adds the keyword distribution assessment for taxonomies. Fixes a bug where automatic redirects would be created for non-public post types. Adds the wpseo_premium_include_automatic_redirection_post_types filter to allow users to include more post types to create automatic redirects for. Includes every change in Yoast SEO core 8.4.0 see the core changelog. Includes every change in Yoast SEO core 8.2.1 see the core changelog. Adds Polish Insights and Linking Suggestions. Props @tmotyl and @oskardydo from @macopedia. Includes every change in Yoast SEO core 8.2.0 see the core changelog. Includes every change in Yoast SEO core 8.1.2 see the core changelog. Includes every change in Yoast SEO core 8.1.1 see the core changelog. Includes every change in Yoast SEO core 8.1.0 see the core changelog. Removes the Internal Linking meta box from the Gutenberg sidebar. Includes every change in Yoast SEO core 7.9.1 see the core changelog. 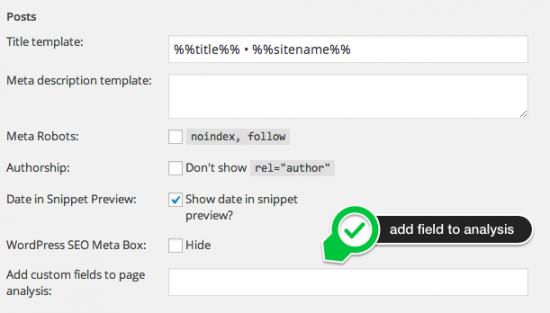 Fixes a bug where the snippet editor changes were not saved when the SEO Analysis feature is turned off. Shows a notification regarding the creation of redirects when deleting a category or tag. Introduces an action (wpseo_premium_redirects_modified) that will be executed when a redirect has been added, edited or deleted. Adds the possibility to enter keyword synonyms. Adds an assessment the checks the distribution of the focus keyword in the text. Adds an assessment that checks the distribution of keywords and synonyms. Fixes a bug where advertisements were being displayed next to video tutorials. Fixes a bug where redirected URLs would show up in the sitemap. Filters out prominent word combinations ending in ‘s in English. Props to swekkiekekkie. Includes every change in Yoast SEO core 7.8.0 see the core changelog. Includes every change in Yoast SEO core 7.7.3 see the core changelog. Includes every change in Yoast SEO core 7.7.2 see the core changelog. Includes every change in Yoast SEO core 7.7.1 see the core changelog. Fixes a bug where non-public posts were given as a link suggestion. Fixes a bug where a redirect would redirect to the currently requested URL. Fixes a bug where the fallback for the Facebook title in the social preview was not showing the correct title. Fixes a bug where Yoast product advertisements were shown in the Help Center video tab. Fixes a bug where the analysis would only show results for the main keyword when multiple keywords are used. Fixes a bug where the analysis results were being hidden while they were being calculated. Includes every change in Yoast SEO core 7.6.1 see the core changelog. Adds WP-CLI commands to manage redirects. Use wp yoast redirect to see the list of available commands. Fixes a bug where the link to run the internal linking count for orphaned content did not work. Fixes a bug where unpublished posts and password protected posts where taken into account in the orphaned content overview and notifications. Includes every change in Yoast SEO core 7.6.0 see the core changelog. Includes every change in Yoast SEO core 7.5.3 see the core changelog. Fixes a bug where the determination of “Orphaned content” tries to account for noindex items, resulting in a lot of additional database querying. Removes the deprecated WPSEO_Premium:: add_admin_pages method. Fixes a bug where a user with granted wpseo_manage_redirects would see settings which should not be shown.